AN ISLAND RESORT IN MALDIVES TO CALL YOUR OWN. Long noted for its beauty among the locals, the small private island of Naladhu invites you to unwind in blissful seclusion. Take up residence in one of 20 timelessly elegant houses, each a spacious sanctuary with private swimming pool. Spa in-house. Enjoy breakfast at your leisure, a picnic on deserted islands, or dinner by candlelight in a coconut grove. Revel in ocean views and the luxury of a private beach cabana. Take your meals there, kayak to neighbouring islands, then return to the privacy of your ocean villa or house. The island experience you always dreamed of. Part lush foliage to come upon dazzling white sands and the lagoon beyond. Spend sunny days poolside and dine under the stars. Set at the tip of the island, experience unrivalled views and privacy whilst ensconced in one-of-a-kind luxury. Take a dip in your 20 m pool or step into the lagoon. Wander an empty stretch of beach yours alone. Just spent 12 days at Naladhu, again... we just can't seem to stay away from this place. As I've stated before, Naladhu is my favorite Maldives resort. This is where you go if you want the rarest of luxuries.....peace, quiet and privacy. Not many things render you speechless. We had a lot of expectations of the Maldives. They were all met and exceeded. By miles. It was a truly amazing and unforgettable experience. The best trip we have ever had anywhere anytime. I saved this for last because I am still at a loss of words for how beautiful this island is. Naladhu Maldives is the epitome of exclusivity – it has around 20 rooms/houses only and is exclusively accessible to its residents. The entire house, which comes with its own butler, feels like home and I even started referring to it as such after only a couple of hours of staying in it. The finest romance. 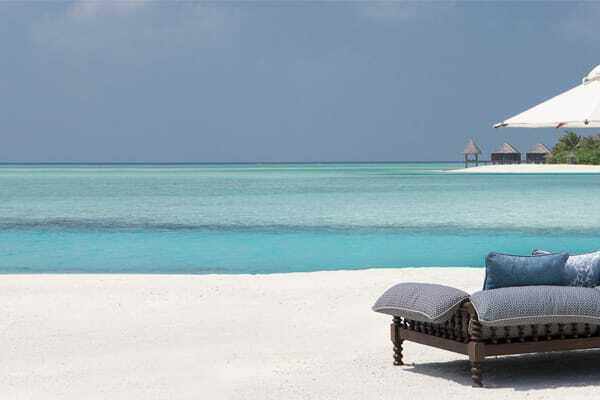 Stay minimum of 4 nights and enjoy an exclusive Naladhu indulgence every day of your honeymoon.